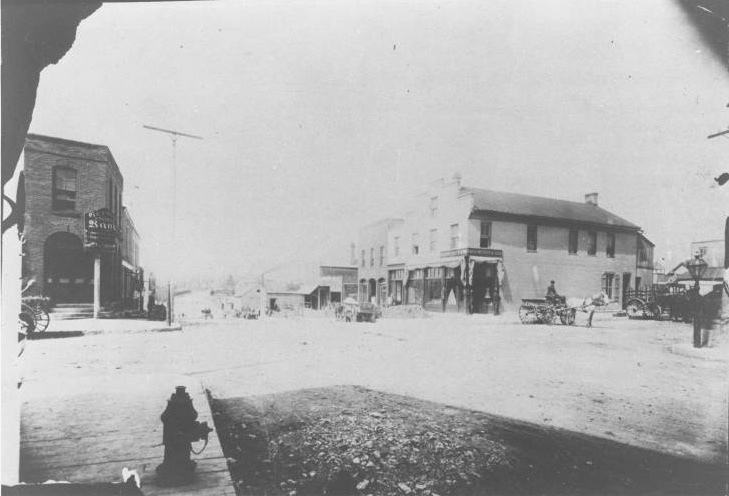 The block in 1885, looking northwest from the corner of Pennsylvania and Westport Road. A recent aerial view of the block, which includes Manor Square, the Char Bar and the Westport Coffeehouse. 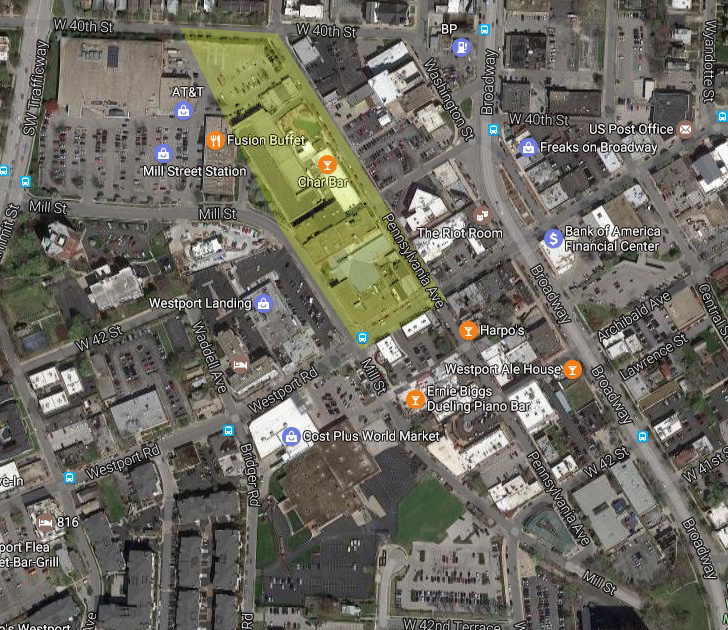 As one of the oldest parts of Kansas City, the block of Westport from Pennsylvania to Mill between 40th and Westport Road has seen several distinct stages of development. The area first came to life in the mid 1800s, when historic churches, courtrooms, wagon-making and grocery shops mingled with small frame homes. Despite efforts to preserve some of those historic buildings in the 1930s, most were replaced by larger, more commercial establishments and parking lots. Today, the block still serves the entire Kansas City community as part of the Westport entertainment district, where some of Kansas City’s most historic buildings are tucked into a turn-of-the-twentieth-century streetscape. 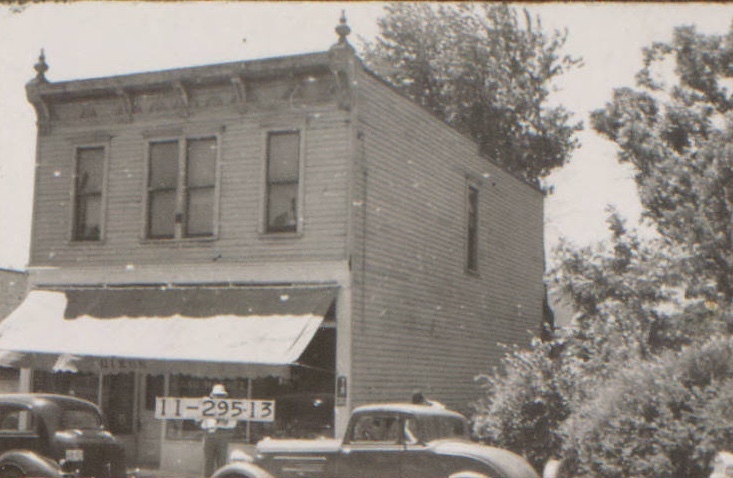 As part of our Uncovering History Project, the Midtown KC Post is taking a look at each block in Midtown, including a set of 1940 tax assessment photos which is available for many blocks. (Many people seem confused by the tax assessment photos, which all include a man holding a sign. Here’s the story behind them). Today, a look at the west side of Pennsylvania Avenue from 40th to Westport Road. Next week, we’ll look at the rest of the block. A recent street view of Pennsylvania between 40th and Westport Road. 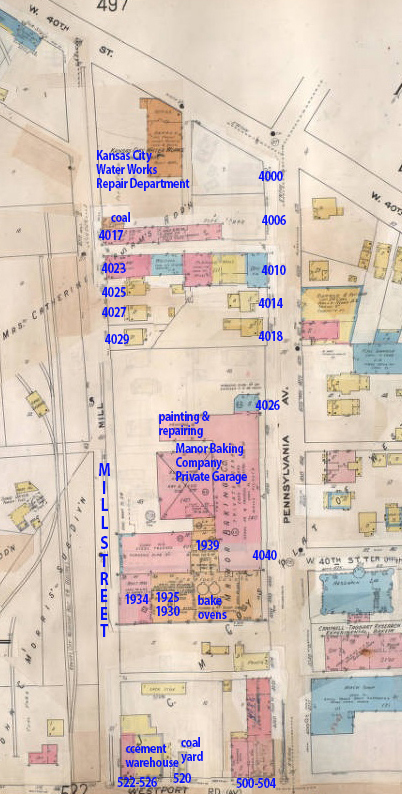 An early 20th century map of the block. 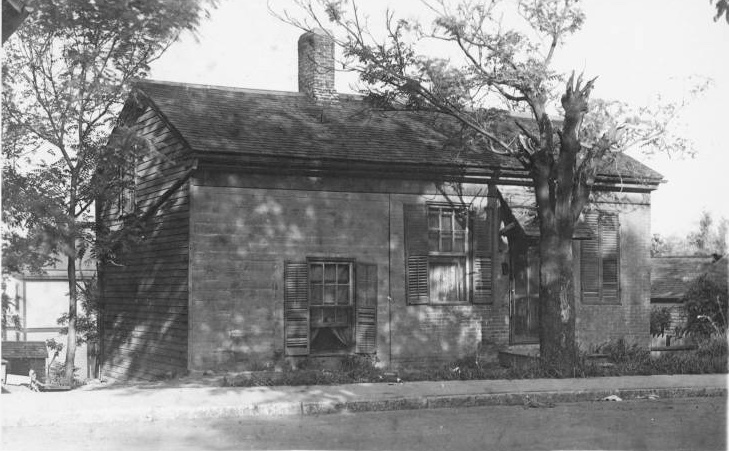 A little further down Pennsylvania at 4010, the first mayor of Westport, Thomas J. Goforth, lived, practiced law and held municipal court in his home built around 1849. South of Goforth’s home were several frame houses no longer in existence. One of them was occupied by German-born wagon maker Earnest Bieber, who moved to Westport in 1846. Another important frontier business on the block was the cabinet shop and furniture store run by Henry Sager. By 1926, the Manor Bread Company, which delivered its freshly-baked products by horse and wagon, had settled into a three-story building that still stands at 4050 Pennsylvania. The Sager cabinet shop at 4030 Pennsylvania. 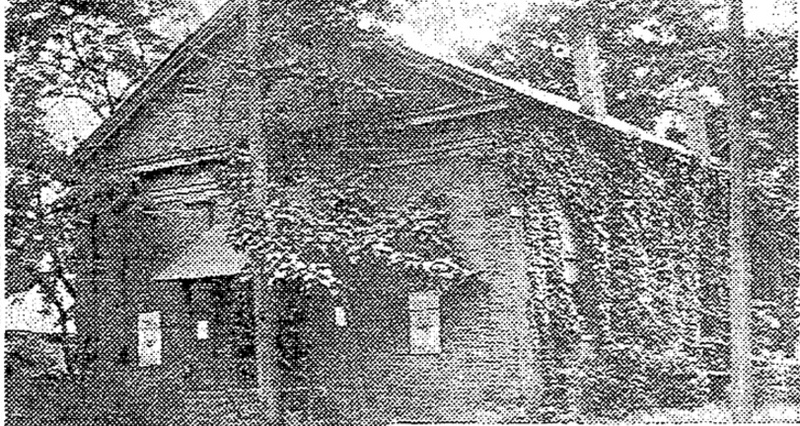 The first Presbyterian Church built west of the Mississippi stood at the northeast corner of 40th and Pennsylvania until 1938. A few years earlier, a national preservation effort named the building one of the three most important in Kansas City (along with the Harris-Kearney house and the Wornall residence), but preservationists were unable to save it from the march of “progress.” This image is from 1929. Manor Bread expanded its property in the 1930s and also petitioned the city to close 40th Street Terrace. This image is from a newspaper advertisement in 1929. 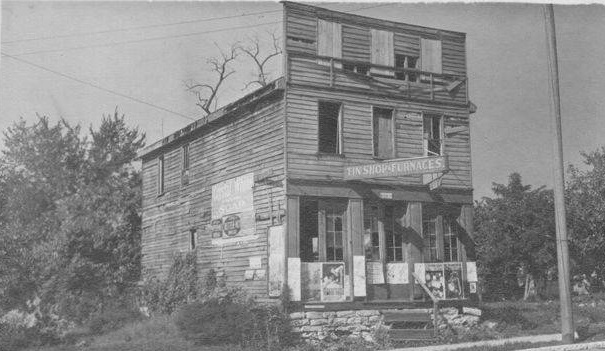 In a photo from 1940, the grocery store run by the Dixon Brothers was still standing. By 1940, this stretch of Pennsylvania was looking a little tired, with its frame homes showing their years.